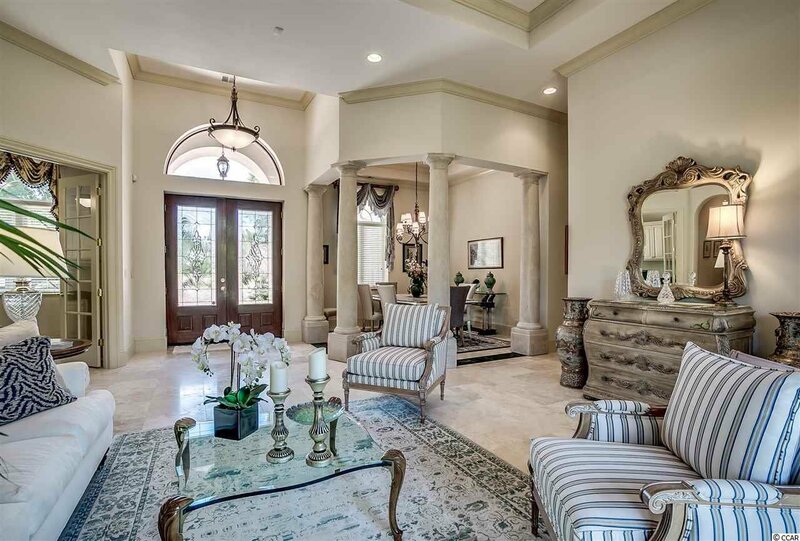 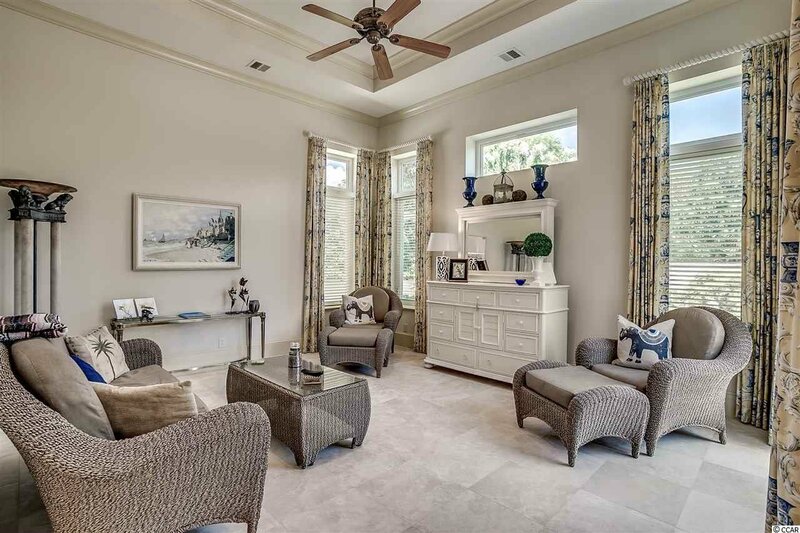 Masterful design and modern luxury are uniquely embodied in this ICF Mediterranean Style 3 Bedroom, 2 and a half Bathroom Home located in the Grande Dunes Community of Castillo Del Mar, which is located East of Business 17 and within walking distance to the Ocean! 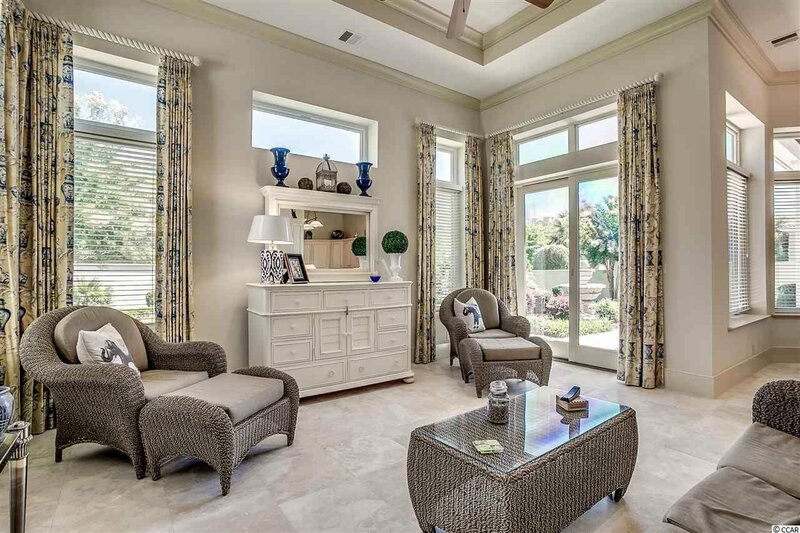 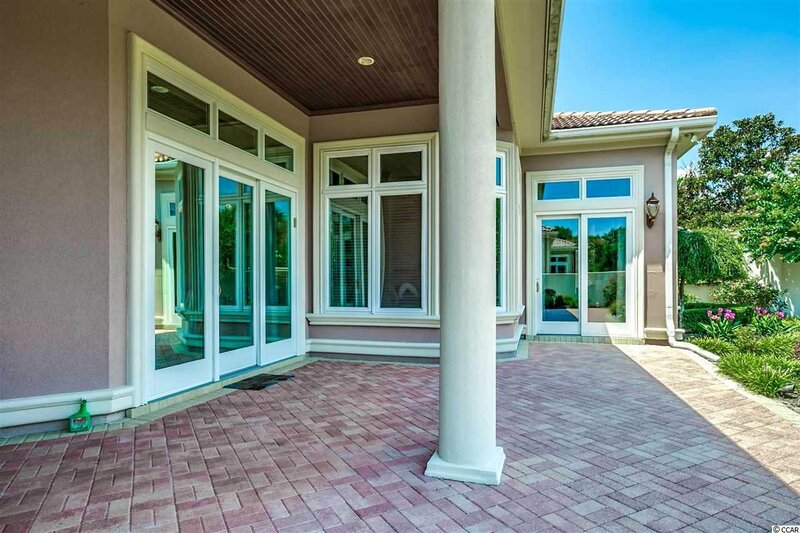 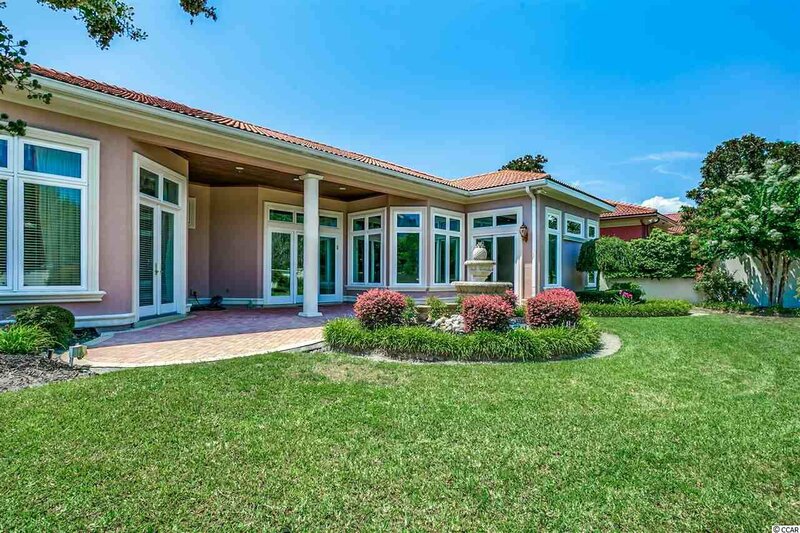 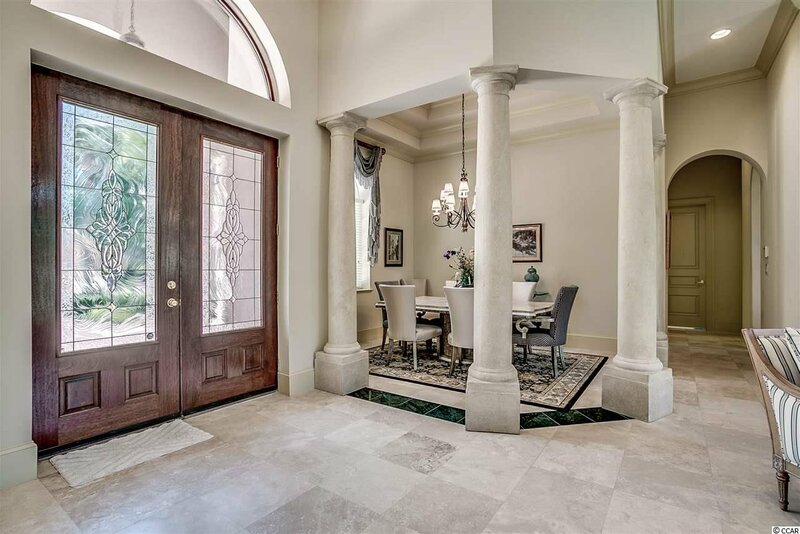 When you enter this home, you are graced by a floor plan that is ideal for entertaining. 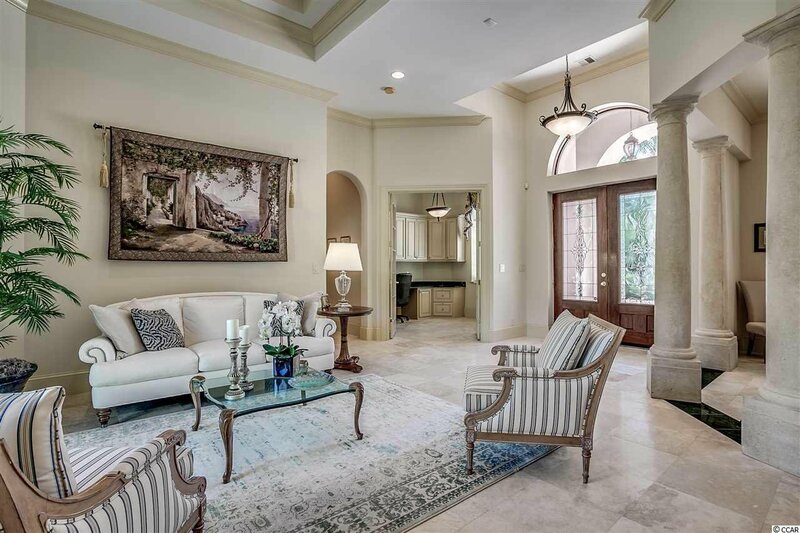 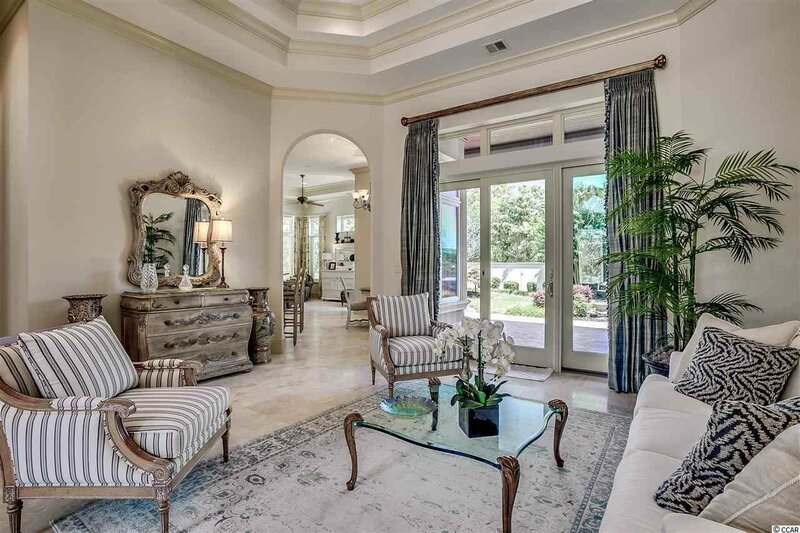 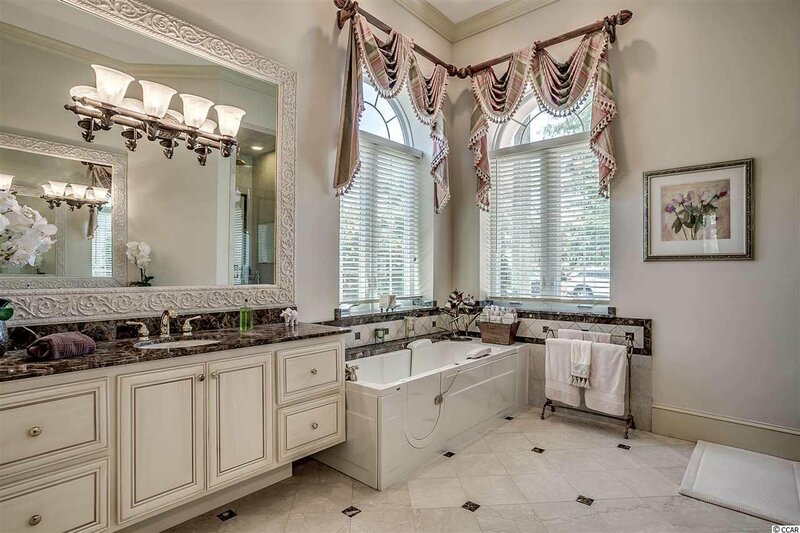 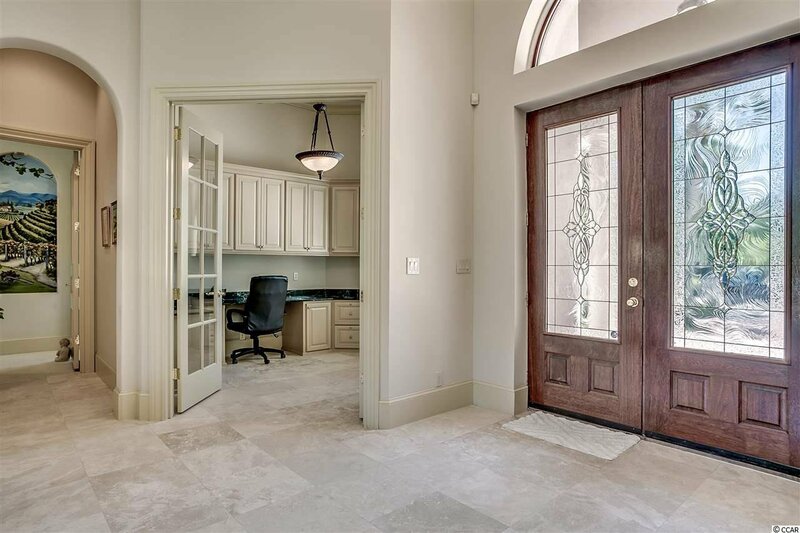 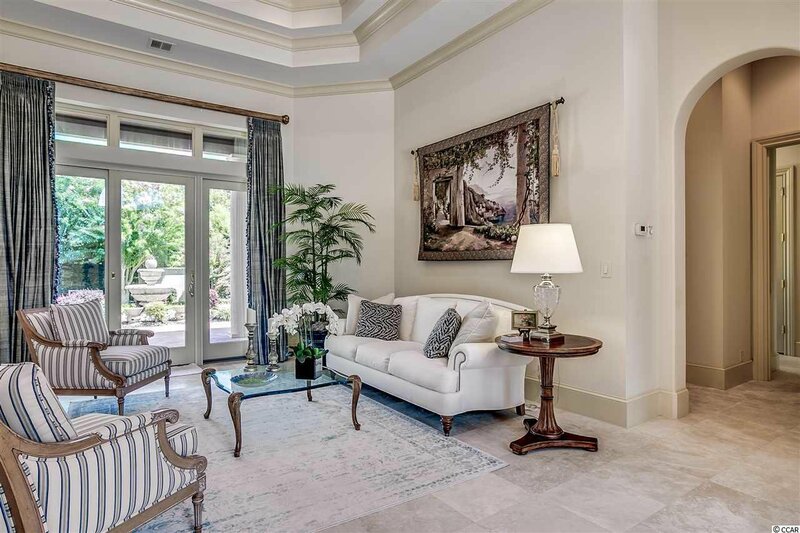 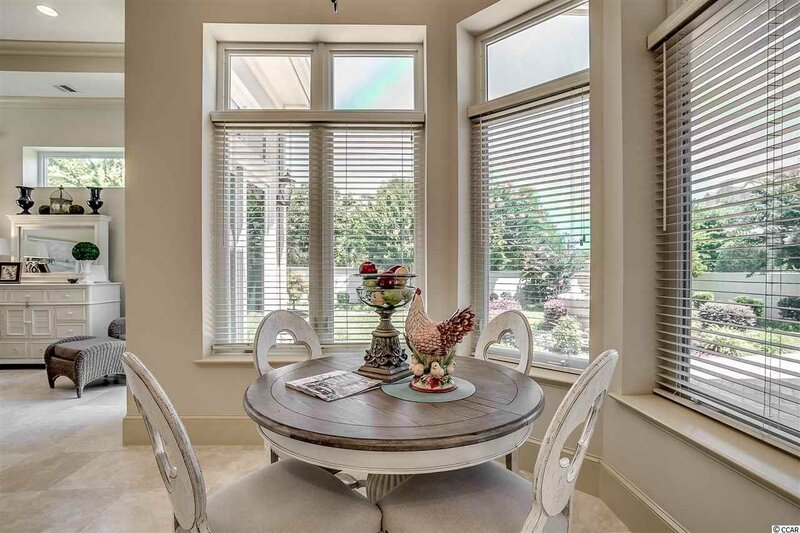 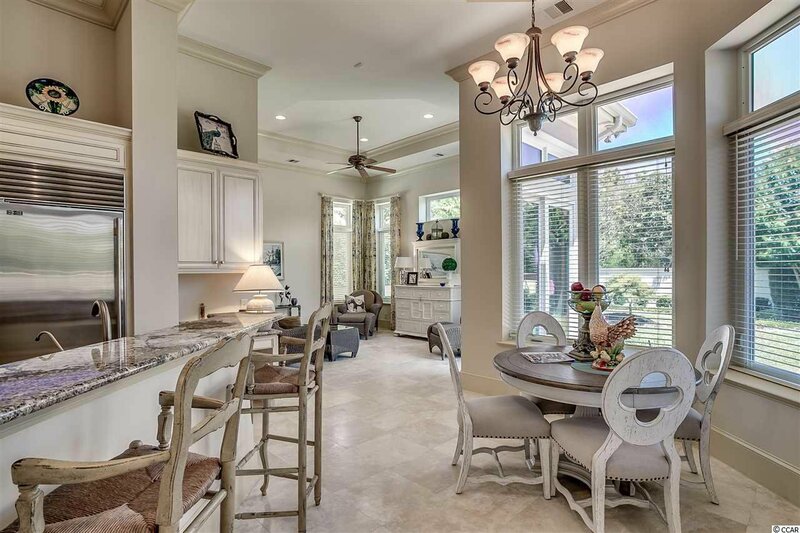 Highlights include plenty of Natural light, Over Sized Tile and Carpet Flooring, 12' Ceilings throughout, Tray and Double Tray Ceilings, Gorgeous Chandeliers and Lighting Throughout. 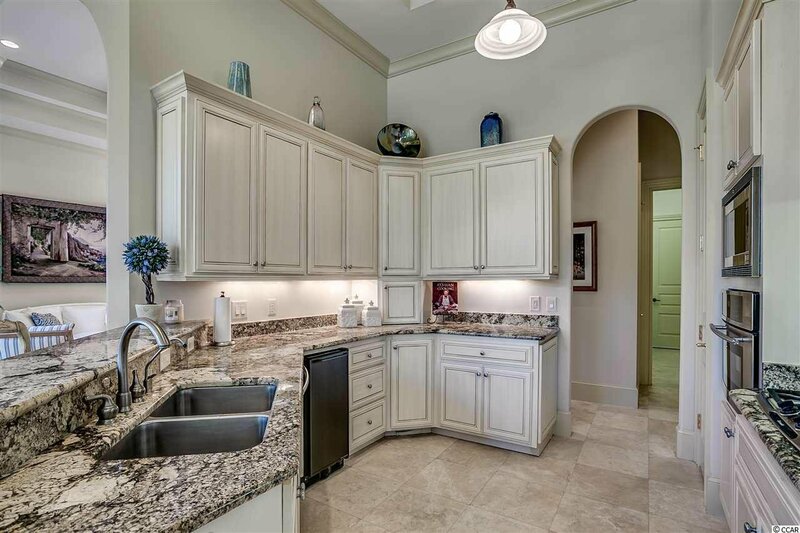 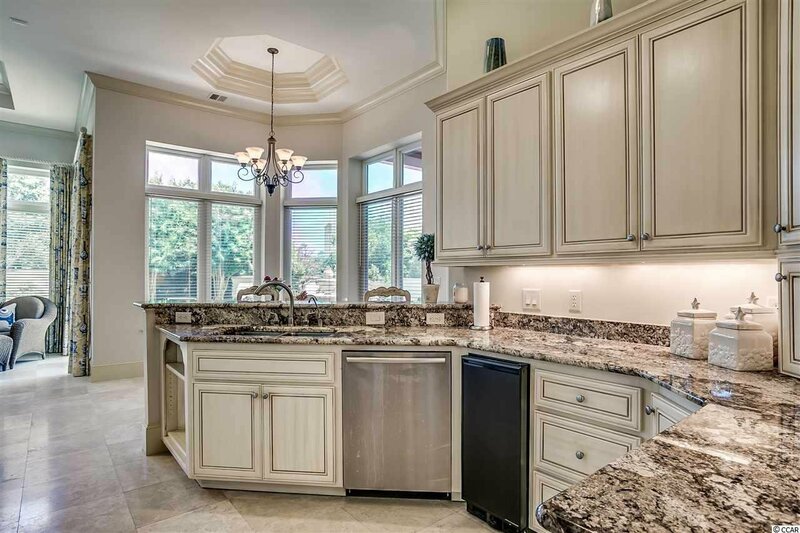 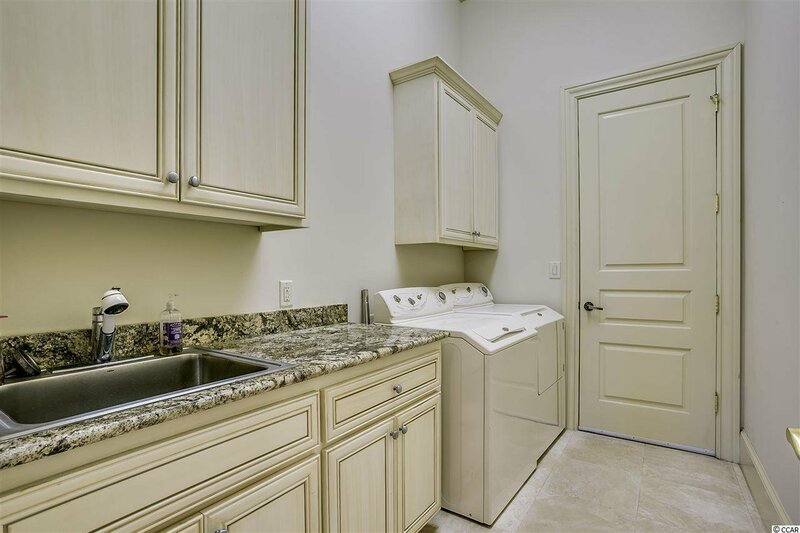 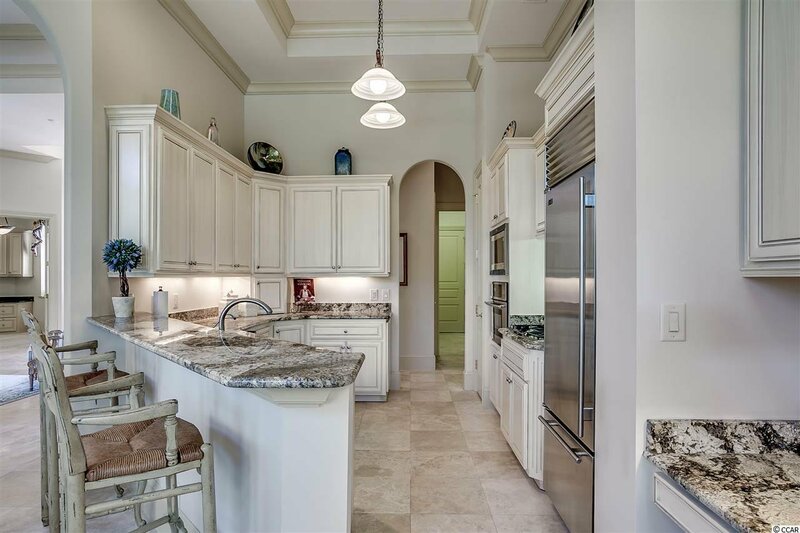 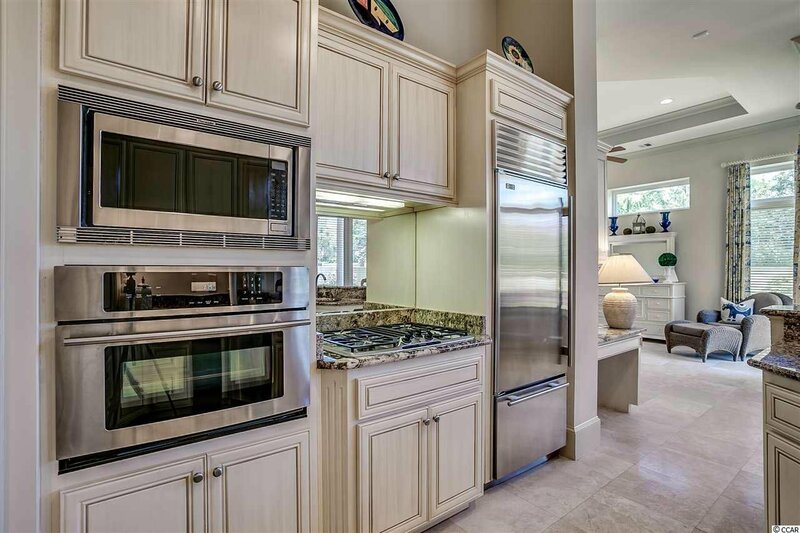 The Kitchen is clad with Premium Finishes and Fixtures including Custom Cabinets, Granite Counter Tops, Stainless Steel Appliances, Pantry, a Breakfast Bar, and a Breakfast nook with a double tray ceiling. 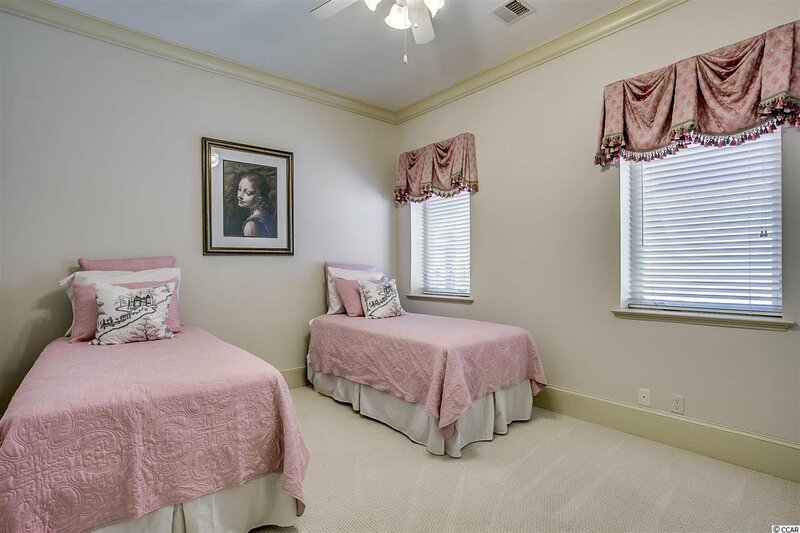 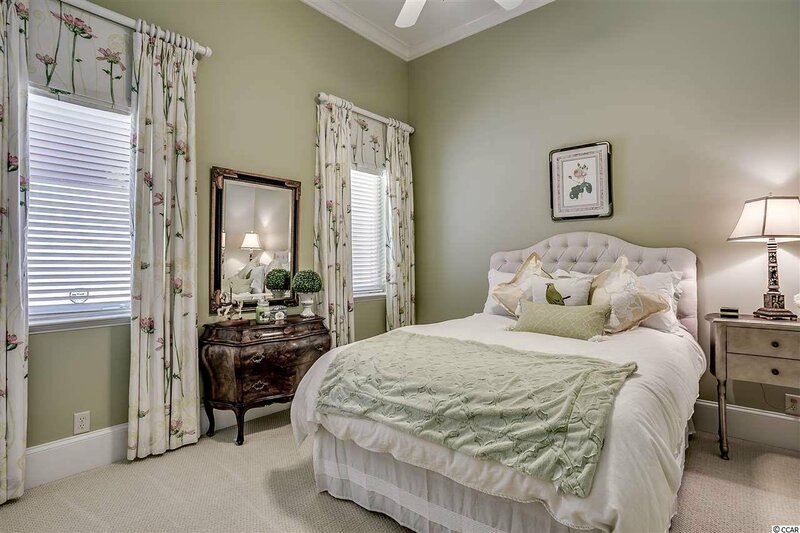 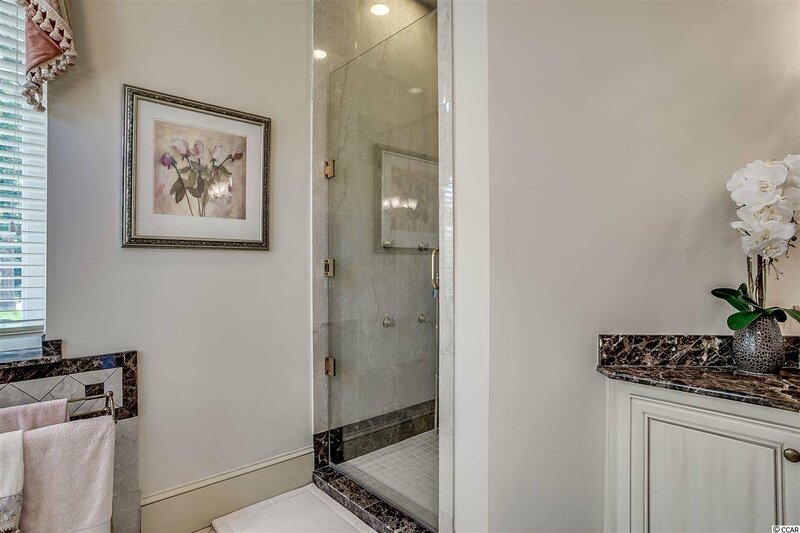 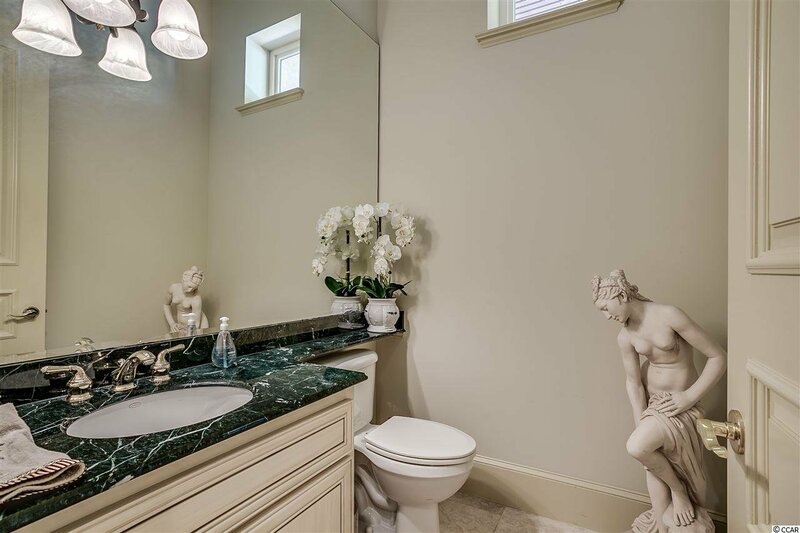 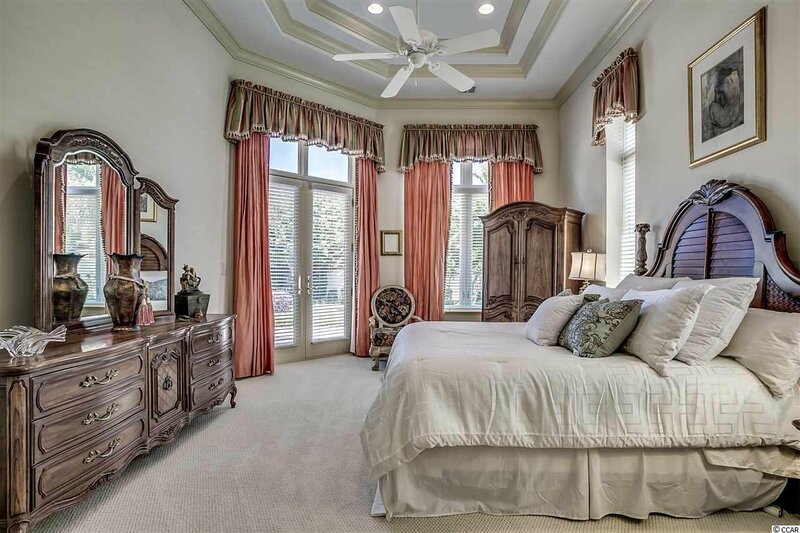 The Master Bedroom Suite is the ultimate retreat, featuring His & Her Walk-in Closets, Whirlpool Tub, His & Her Vanities, Walk-in Tile Shower, and a Water Closet. 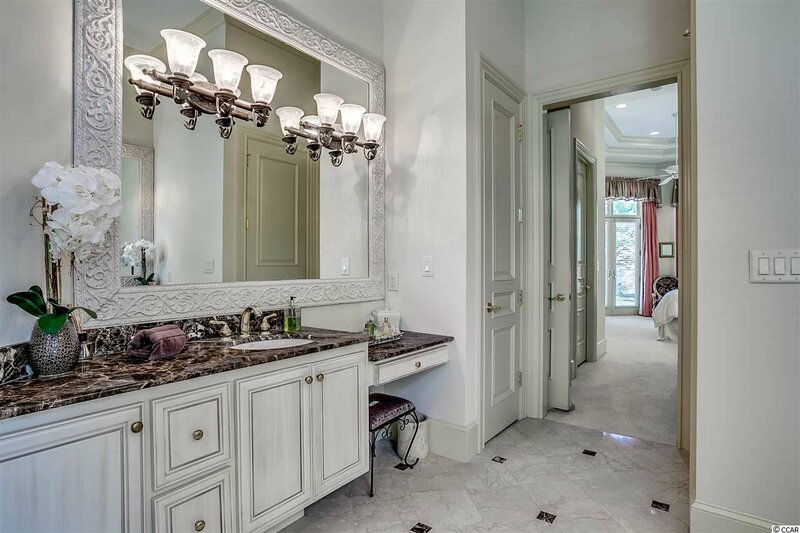 There is plenty of room for family and guests to feel right at home in the two guest suites and full bathroom. 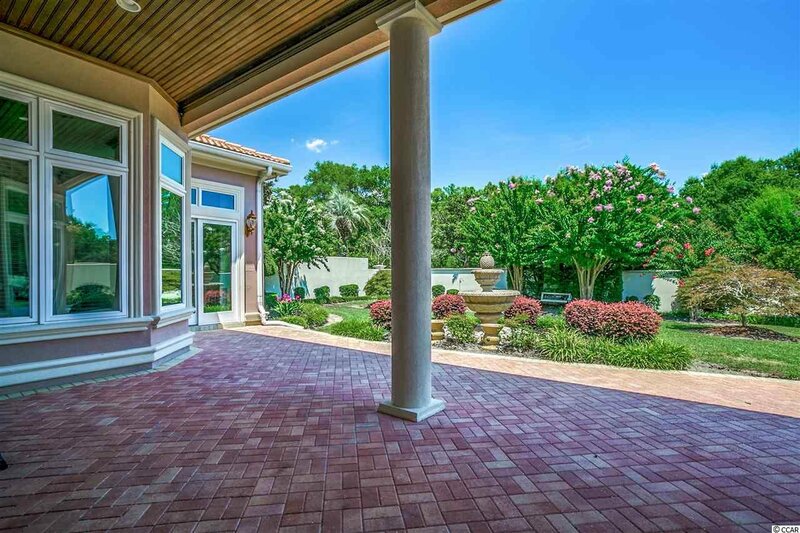 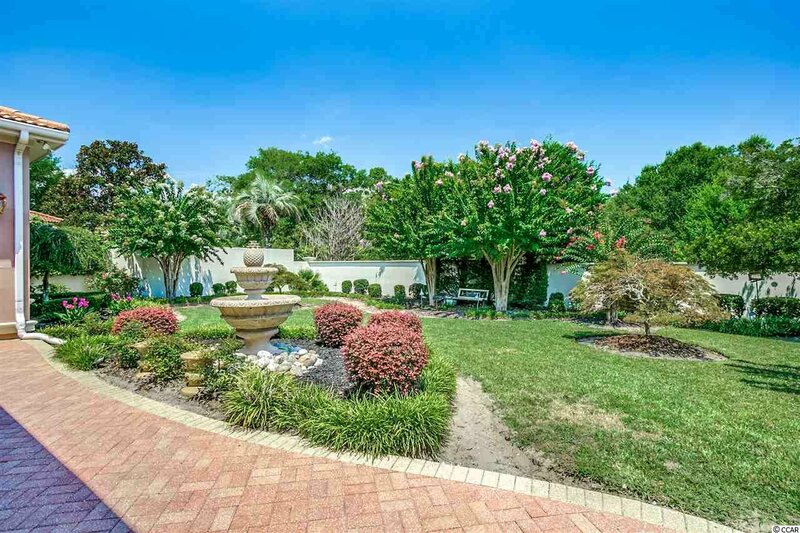 Spill out to the awe-inspiring patio, where there is plenty of room for entertaining or enjoy the beautiful Carolina weather. 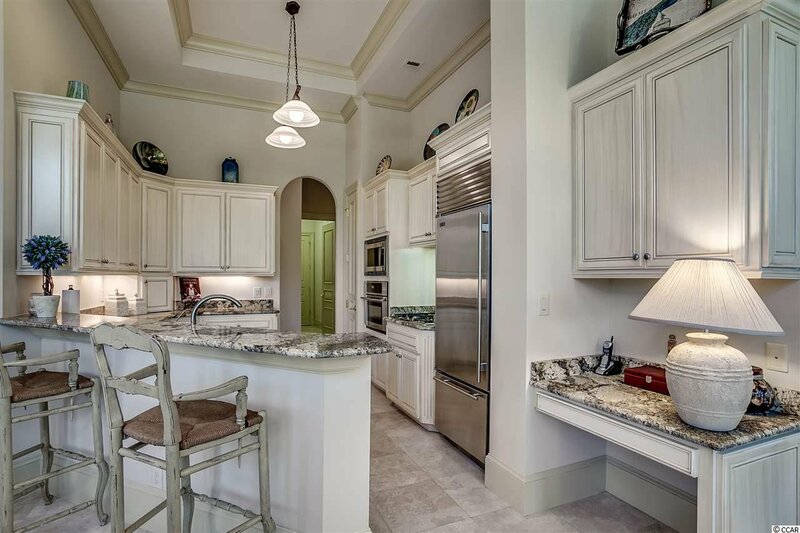 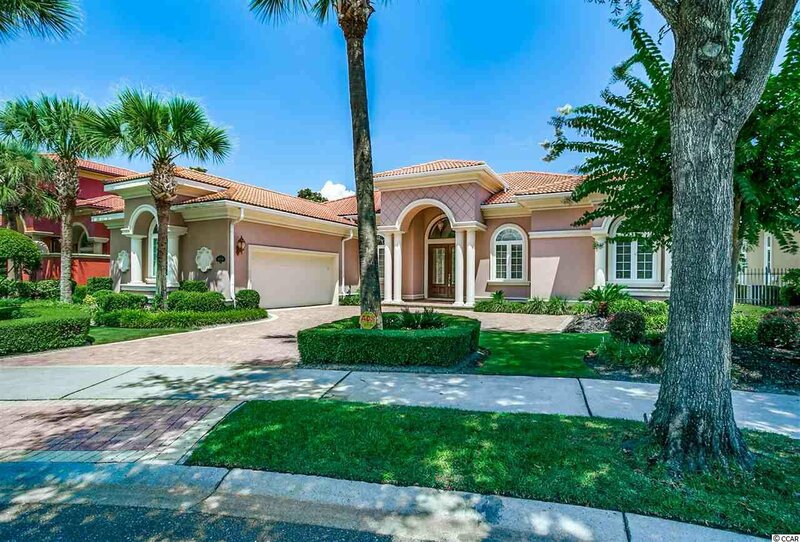 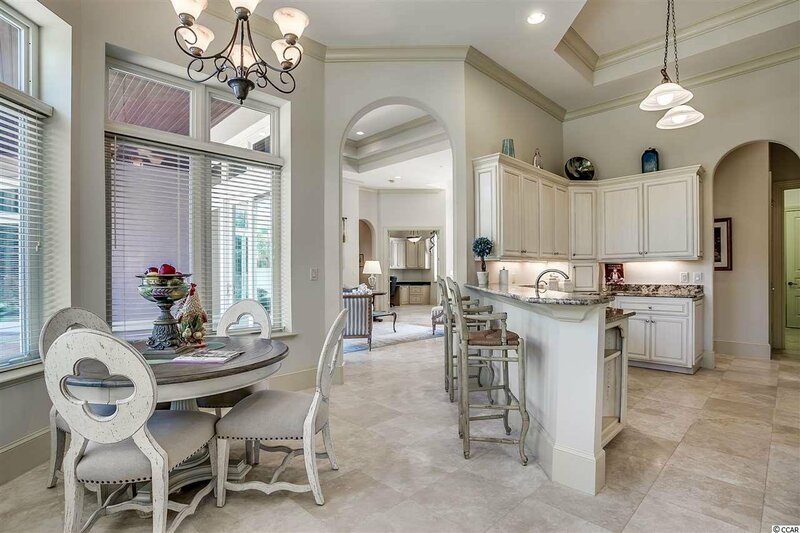 This home's HOA Fee includes membership to the Grande Dunes Ocean Club, an oceanfront paradise of Pools, Poolside Bar and Fine Dining Restaurant, and is located minutes from entertainment, fantastic restaurants, and so much more. 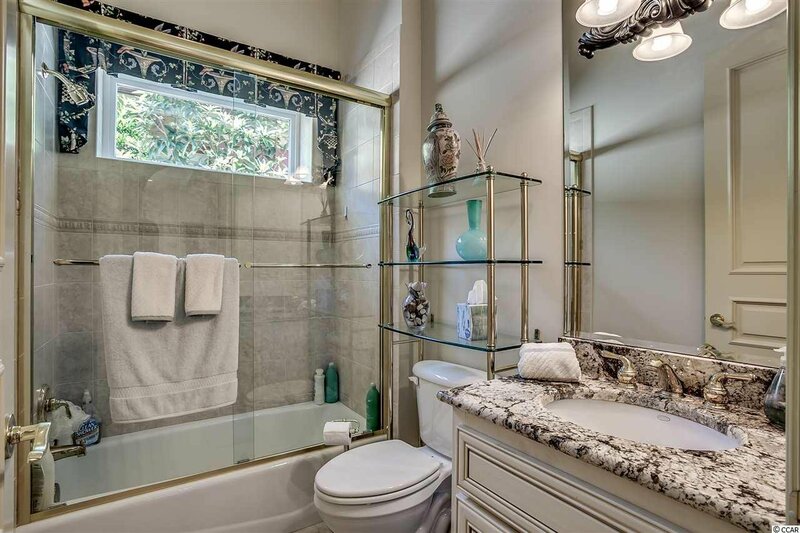 Listing courtesy of CENTURY 21 Boling & Associates , Traci Miles Team. 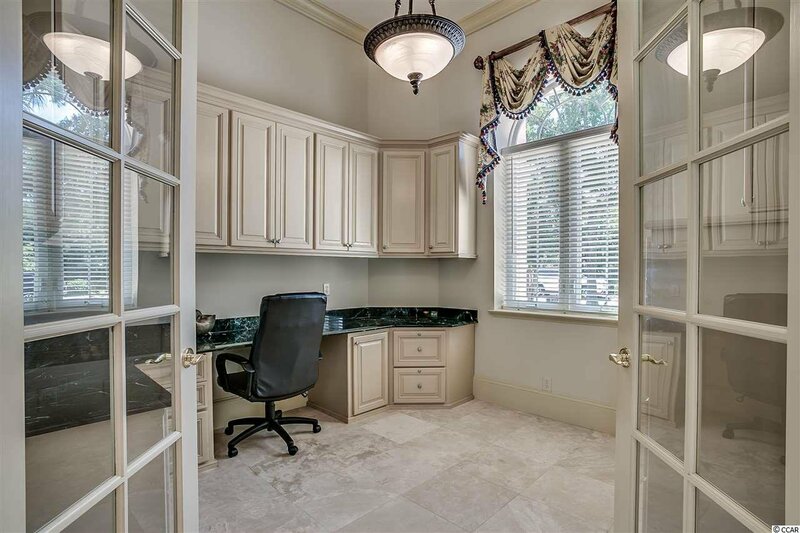 Selling Office: Resourceful Realty , Tamara Wolfe.